New York: Miramax Books, 2002. 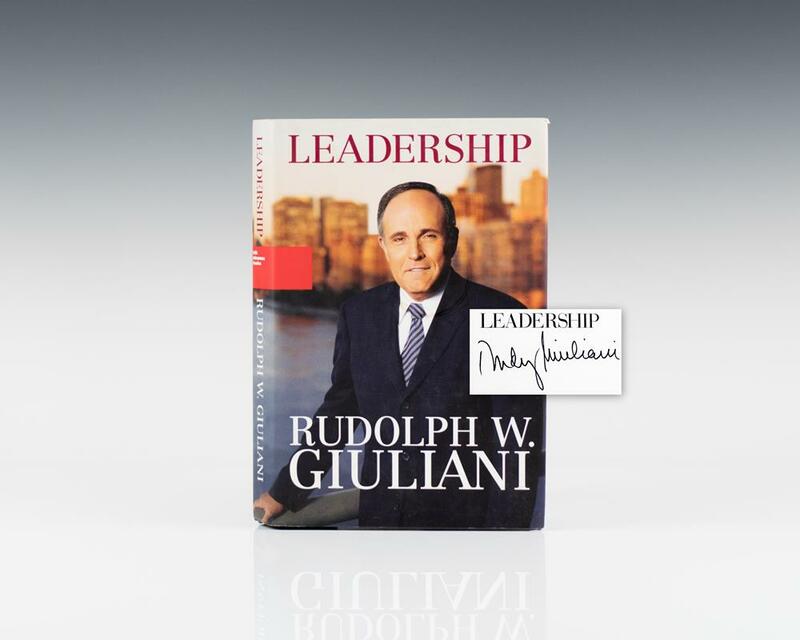 First edition of New York Mayor Guiliani’s autobiography. Octavo, original half cloth. Signed by Rudy Giuliani on the title page. Fine in a fine dust jacket. In Leadership, Rudolph Giuliani demonstrates how the leadership skills he practices can be employed successfully by anyone who has to run anything. Opens with a gripping account of Giuliani's immediate reaction to the September 11 attacks, including a narrow escape from the original crisis command headquarters, and closes with the efforts to address the aftermath during his remaining tenure. "Written with the bluntness and unsentimental bravado that people have come to expect from the former mayor of New York" (Atlanta Journal-Constitution).